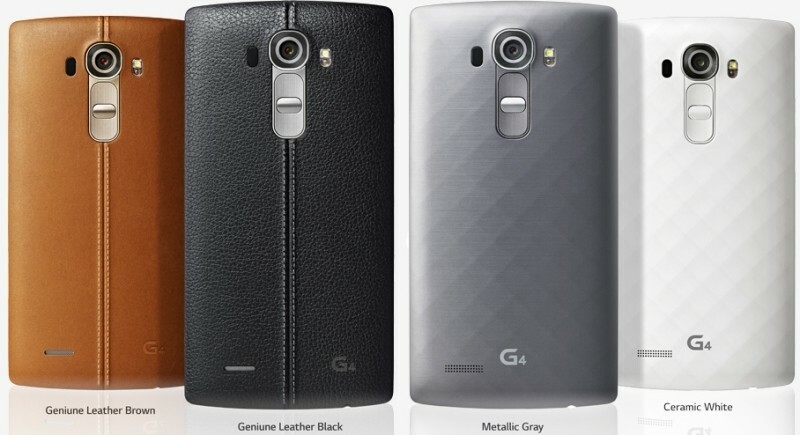 LG has taken the wraps off its latest flagship smartphone, the LG G4. The handset packs a 5.5-inch display operating at a resolution of 2,560 x 1,440 (538 PPI) and is powered by Qualcomm’s Snapdragon 808 processor. There’s also 3GB of DDR3 RAM on tap as well as 32GB of internal storage and room for expansion via microSD card slot. The G4 features a 16-megapixel rear-facing camera with an f/1.8 aperture lens that’ll no doubt boost performance under low-light situations. It’s also aided by OIS 2.0 (optical image stabilization) which LG claims expands the range of image stabilization from one degree to two degrees on the X- and Y-axis and adds a third axis for the first time. Other noteworthy specs include a front-facing 8-megapixel camera, 802.11 a/b/g/n/ac Wi-Fi, Bluetooth 4.1LE and NFC. It’s powered by a 3,000mAh removable battery that can keep the phone running up to 20 percent longer than the LG G3. Specifically, we’re looking at 13.6 hours of video, 19.6 hours of talk time and 10 hours of Wi-Fi Internet use. It’ll arrive running Android 5.1 Lollipop and comes in your choice of three different rear finishes: a ceramic-coated back, one with a hammered “metallic craft” look and one outfitted in leather reminiscent of the Samsung Galaxy Note 3. The display on the LG G4 has a very subtle curvature (not like the extreme curve found on the Flex series). This design decision is hardly noticeable but is said to offer a more natural and secure feel in the hand while providing 20 percent better durability compared to a flat smartphone in face-down drops. LG hasn’t yet announced pricing although we know the rollout will start on April 29 in Korea before making its way to other major markets by the end of May or early June.